Elon Musk’s recent interview with Rolling Stone offers us a rare and intimate insight into his life, his goals, and his methods. Like many tech entrepreneurs of the current age, Elon Musk has achieved a kind of rock star status. Perhaps fittingly, this newfound fame has led to an in-depth interview with Rolling Stone magazine. It is certainly not uncommon to see Musk on the television or on our news apps. 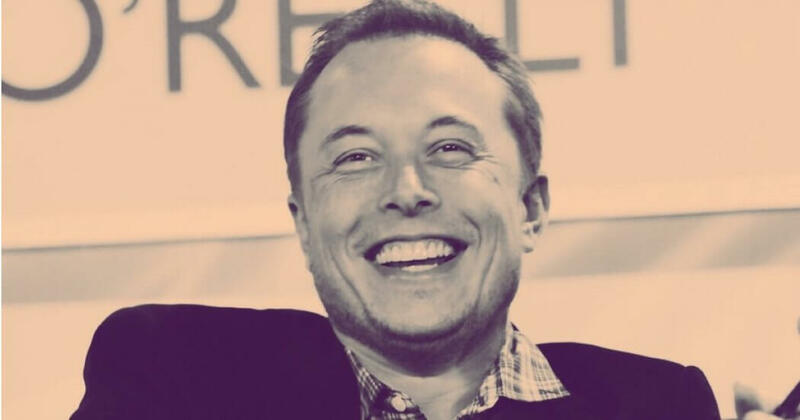 With a smile on his face, he expounds upon the new technologies he is developing or celebrating new milestones for Tesla, SpaceX, or his hyperloop. The Rolling Stone interview offers a fuller glimpse of the human side of this seemingly superhuman figure. Given all the insights Musk has provided us about technology, we couldn’t help but be curious when he talks about himself. And below, we share some of the key takeaways from Neil Strauss’s article. Arguably, Musk’s ultimate goal is space colonization: the facilitation of life on other planets. While not all of us are would-be space cadets, the fact that Musk has his sights set on where mankind has never set foot shows that the sky is quite literally the limit. We may not all have access to his funding and resources, but we shouldn’t belittle ourselves for having big dreams — we should confidently face them, head-on. “Climate change is the biggest threat that humanity faces this century,” Musk acknowledges. He wants automobiles, households, and industry to make the switch from fossil fuels to sustainable energy — think inter-city travel via vacuum tube. He cites artificial intelligence (often known as AI) as another threat to our species, and says we need to develop the means of stopping robots rationally deciding to wipe out humans. He even made the patents for his Tesla project open-source, as he believes this will optimize the transition to sustainable energy. It’s a group effort that requires many different minds. Proof that Musk isn’t a superhuman: he’s perfectly capable of getting his heart broken and he’s not afraid to say it — he even proudly states that without a long-term companion, he cannot be happy. Shortly after a recent break-up, Musk describes himself as being in “severe emotional pain” while presenting the Tesla Model 3 launch, in which he had to convince everyone he knew what he was doing. We won’t always be in tip-top emotional shape, because relationships, even non-romantic ones, are unpredictable. If we’re unlucky, sadness will clash with moments when we have to put on a brave face. Even if you’re screaming inside, sometimes getting out of your head can be helpful. If you’re able to maintain constants outside of your love life — such as professional projects and ambitions — it will help you retain your identity and a sense of structure, even in heartbreak. Musk is able to use this method to his advantage because, he claims, most people refuse to consider counter-arguments and think too much about what other people are doing. Don’t let yourself get distracted by your peers — focus on what your unique talents, perspectives, and selling points can achieve, and do your best to work on these. Insight and collaboration are good, but learn to realize when watching what others are doing is more of a hindrance than a help. 5. He’s notorious for setting ambitious deadlines that he doesn’t always meet. At some point, any creator has to decide whether they want to focus on quality or quantity, because unfortunately, given the limited time the average person has these days, it’s a luxury to be able to produce both. Elon Musk knows that the world is watching him, but that doesn’t mean he’ll do a rush job just to get approval. “Better to do something good and be late than bad and be early,” he explains, quite simply. Similarly, he also expects to lose when it comes to his projects. He openly said to his staff at Neuralink that there was only a five- to ten-percent chance of success. And in fact, this doesn’t contradict Musk’s trademark zeal and pioneering spirit. An endeavor that takes time and effort is not an endeavor that cannot be achieved at all. For all their public appearances, it can feel like we don’t know much about many of today’s tech celebrities. When presented with the chance to discover what makes them tick, we often jump at the chance. After all, these are the people who are shaping the age in which we live. Why not be a little curious? Rosamund is from Eastern England and has been living in Berlin since 2014. In addition to writing, she is a translator from German and French. She enjoys making hummus, taking in the sweet smell of new books and magazines, and trying to achieve an optimal balance of lived-in and minimalistic in her flat.